Download Trolls in Digital HD from the iTunes store. 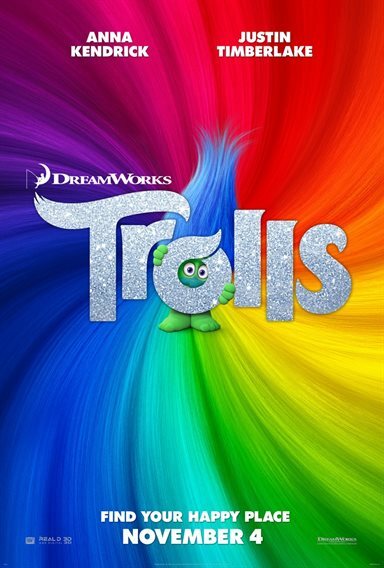 Listen to the Trolls soundtrack on Apple Music. Trolls images are © 20th Century Fox. All Rights Reserved. Take some cute, colorful characters, mean monsters, a story with a moral and some fun songs and what do you get? In general, any number of animated films but in this case specifically…Trolls. DreamWorks and Twentieth Century Fox's latest animated feature hits theaters November 4, 2016, and it promises to be an enjoyable film for kids and parents alike. With a strong cast and good script, it reminds audiences what there is to love about animated movies – something that has been somewhat lacking recently. The Bergens are miserable creatures that don't know how to be happy. The Trolls are always happy and singing. A long time ago, the Bergens captured the Trolls so once a year they can have a huge celebration and eat trolls to be happy. Twenty years ago, though, the trolls escaped and have lived in peace, singing and dancing and hugging. Princess Poppy (Anna Kendrick; Pitch Perfect) is excited to celebrate the Trolls freedom with the biggest, loudest party possible. When Branch (Justin Timberlake; In Time), the unhappy, pessimistic troll, tries to warn the others that the Bergens are going to look for them, they laugh off his warning. Unfortunately, when it turns out he is right, some of the trolls get captured and Poppy goes on a mission to save her friends, followed reluctantly by Branch. Of course, everything works out in the end and everyone is happy (and nobody had to eat a troll to do it). There is nothing new or earthshattering about trolls but, then again, it wasn't meant to be. It is a fun kids movie with a few gems thrown in for the adults too. Some well-placed jokes have the "big kids" laughing. Some great music will have everyone moving in their seats. The cute and colorful trolls will have the audience falling in love with them. And the scrapbooking…I can't forget to mention the scrapbooking!!! The cast is star-studded and well chosen. Anna Kendrick has the perfect, perky voice to play Princess Poppy and her singing permeates the film. Timberlake does a great job as Branch and his singing voice is angelic. Using his talent as the musical director of the film was also a smart move on the producers' part as he has a magical touch when it comes to writing and singing. The supporting cast including Zooey Deschanel (New Girl), Christine Baranski(Big Bang Theory), John Cleese (Monty Python and the Holy Grail), Russell Brand (Get Him to the Greek), and James Cordon (Into The Woods) is just the icing on the cake. The animation is fantastic with color hues that are vibrant and full and run the entire spectrum. The visuals will be appealing for any youngster and, coupled with the soundtrack, it will be a good time for anyone under the age of eight. The 3-D is also well done and this is one case where I can state splurging for the 3-D version would be money well spent. Trolls is cute. It's heartwarming. It has several moral messages and it has a great soundtrack. It lacks some of the stories that other animated features have, but as an escape with the family on a Saturday morning, you would be disappointed if you didn't give it a go. Sadly, it comes out too late to corner the market on Halloween costumes, as I'm sure the streets would have been lined with troll costumes, but it may be able to pick up some merchandising deals for the holiday season. Personally, I want a guy diamond doll that farts glitter! DreamWorks needs to get on that right now!!! 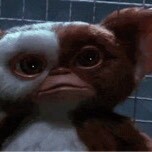 Enjoyed this movie a bit to much. Early morning screening. Nap time.